Chris Haiman is looking for 10,000 black men (with prostate cancer)! The RESPOND study, which was initiated in July last year, appears to be the largest-ever study of risk factors for prostate cancer among the African American community, and probably among Black men worldwide. Prof. Christopher Haiman and his colleagues at the University of Southern California (USC), together with a team of researchers from 11 different centers around the US, have set out to gain much greater insight into why African American men, and other Black men of African ethnicity living in the US, are at higher risk for a diagnosis with prostate cancer — and at a younger age — than comparable Caucasians and Hispanics. The “New” Prostate Cancer InfoLink and Prostate Cancer International would strongly encourage all African American men who have been diagnosed with prostate cancer in the US any time in the past 8 years to contact the research team, to learn more about this study, and to participate if you possibly can. Here’s a link to an article in the Los Angeles Sentinel from when the initiation of this study was announced. We would also encourage all prostate cancer support group leaders to tell their African American members about this project and to mention it in talking to other organizations that you may work with. It is likely that we will all learn more about prostate cancer as a consequence of this project, and that it won’t only be members of the African American community who benefit in the long term. Allow the research team to access tumor tissues that have already been obtained (e.g., at biopsy) and are stored at the participants’ diagnosing or treating facilities or pathology laboratories. as well as things like where patients live, their diets, socioeconomic status, education, etc. The primary goal is the accumulation of a much more robust database about prostate cancer among African American males than anything that exists at present. It will then be possible to “mine” this database for detailed information about prostate cancer and its risk factors in the African American community in the same way as has been done for other ethnic communities over the past 30 years. More than $26 million is being invested in this project by the National Institutes of Health and the Prostate Cancer Foundation, working together to fund this initiative. Participation is open to African American (or other Black) men who were first diagnosed with prostate cancer in the United States on or after January 1, 2010. There is no cost associated with participation in this trial. 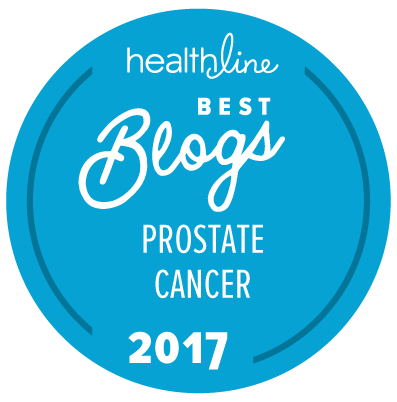 It doesn’t matter how you have been treated for your prostate cancer (or whether you have received any treatment at all to date). Some participants may be able to receive up to $50 for their time and effort if they participate fully in all parts of the study. All data and information provided by participants in this study will be kept confidential and will be used exclusively for research purposes. Results from this research project may be published in scientific journals; however, the identities of individual participants will not be released. Researchers involved with the RESPOND study have years of experience in protecting patient confidentiality in cancer research. The research team is planning to keep all participants informed about the results of the study over time — through newsletters as well as via the respondstudy.org web site.